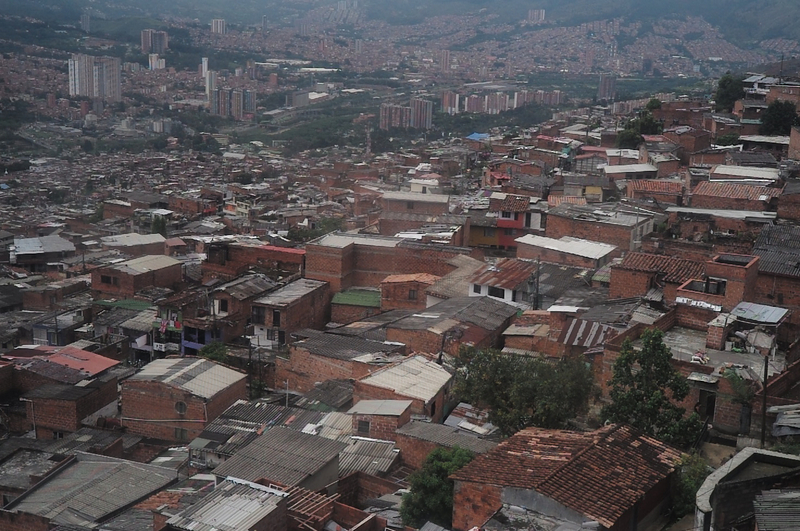 after leaving chengdu, i flew straight to medellín, with an eight-hour stop in athens to pack a suitcase (to replace the one that was still in beijing, but that’s another story). 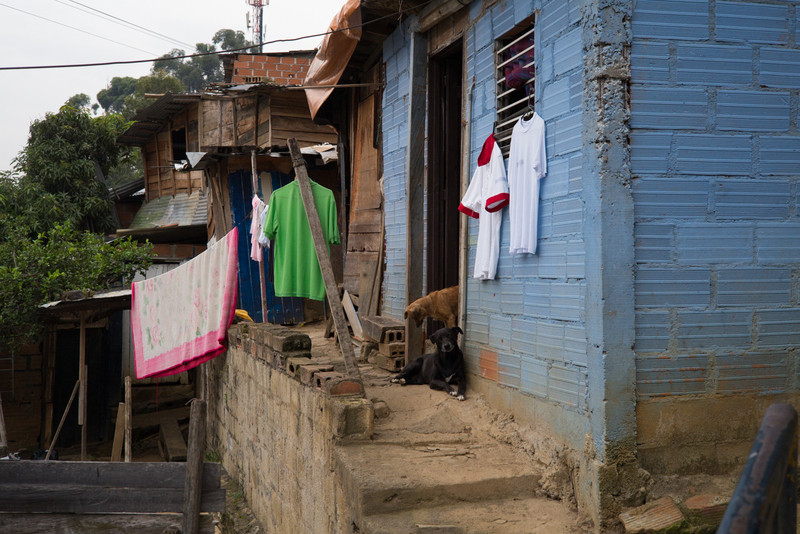 i went to medellín to attend a workshop on photographing with nonprofit organizations; my “client” was la fundación las golondrinas, a social services organization that provided child development services, education support, small business technical assistance, and other programs in the low-income communities of medellín. 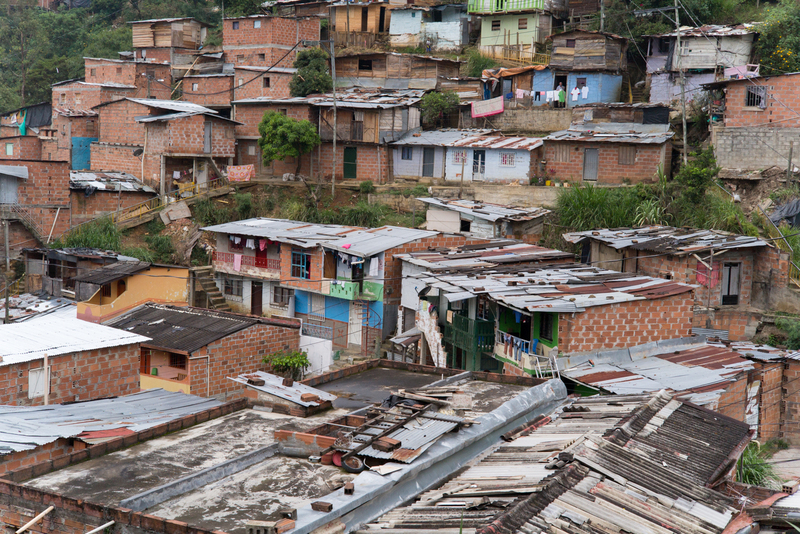 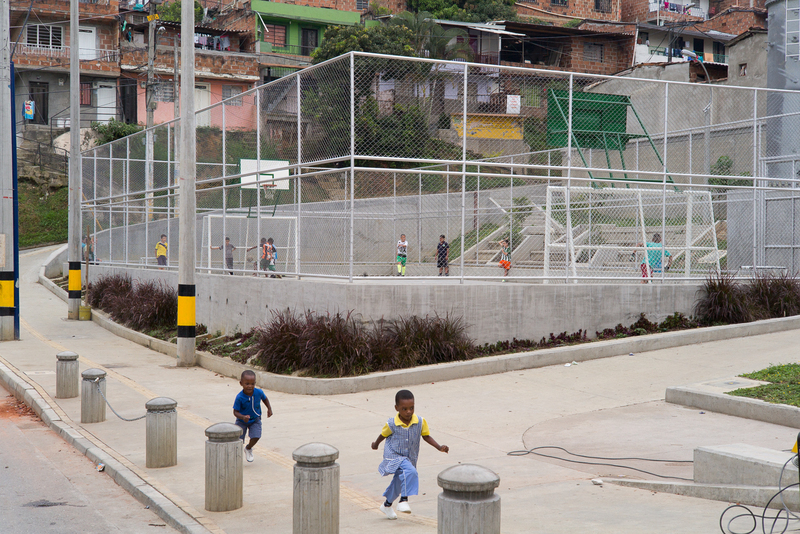 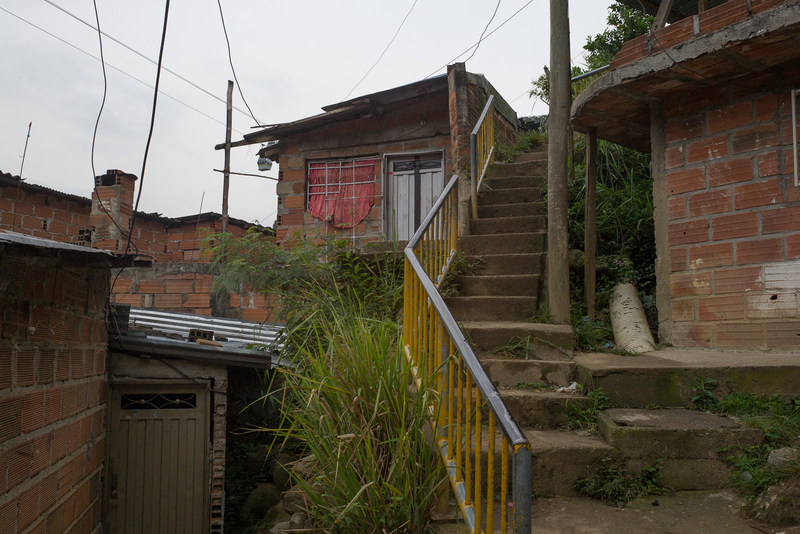 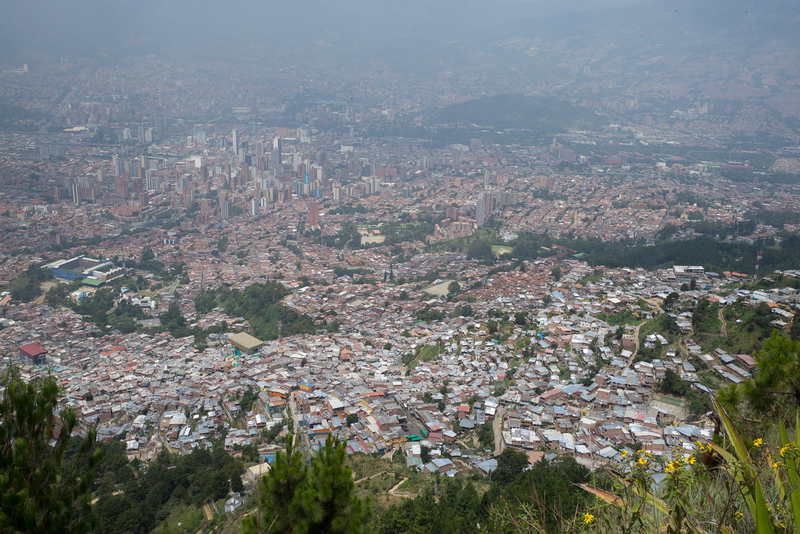 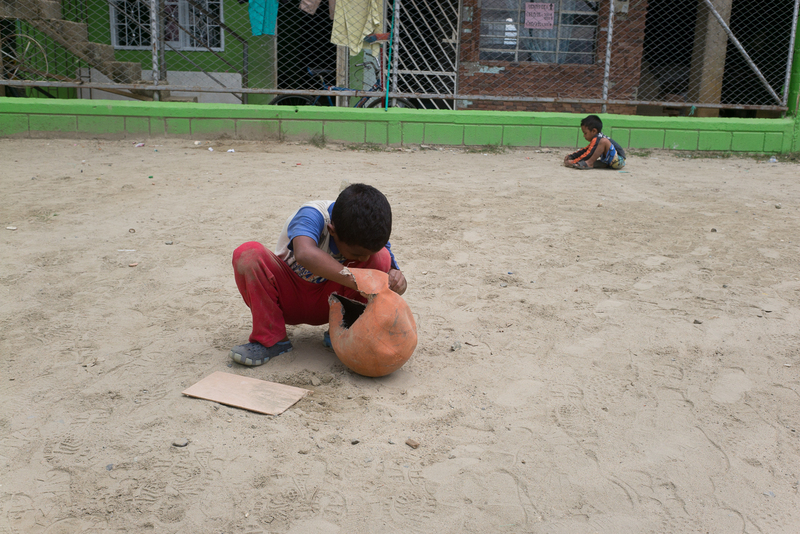 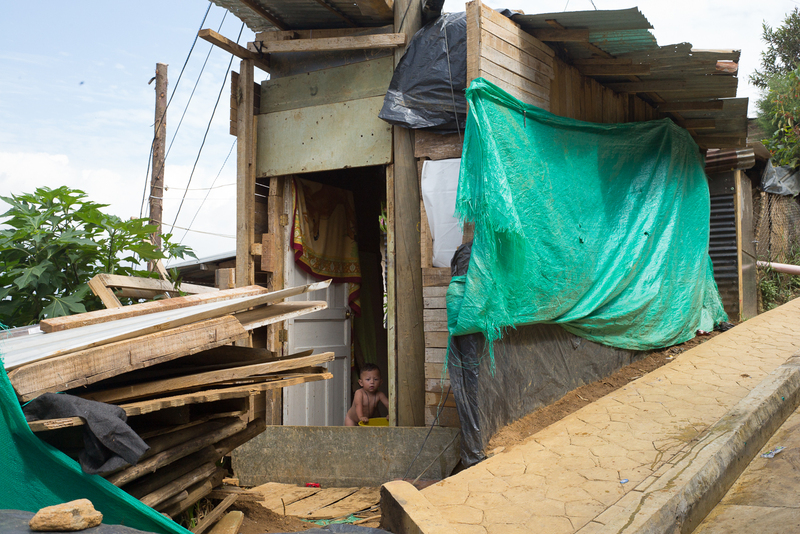 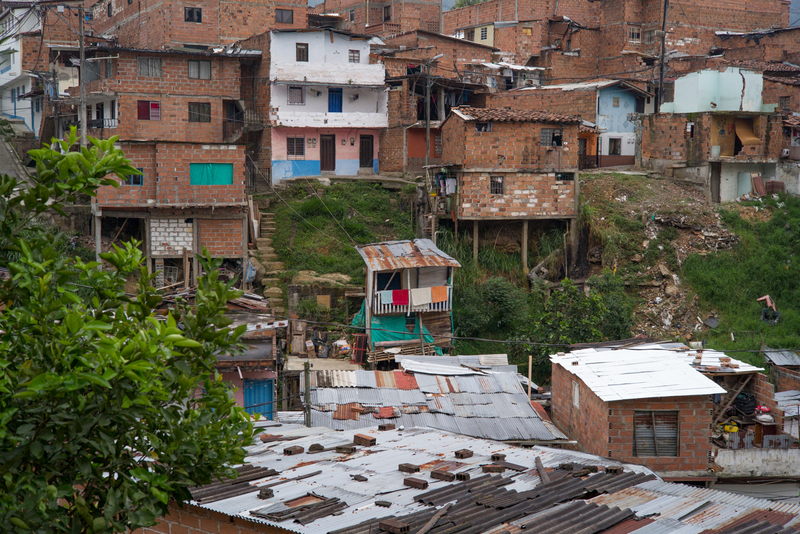 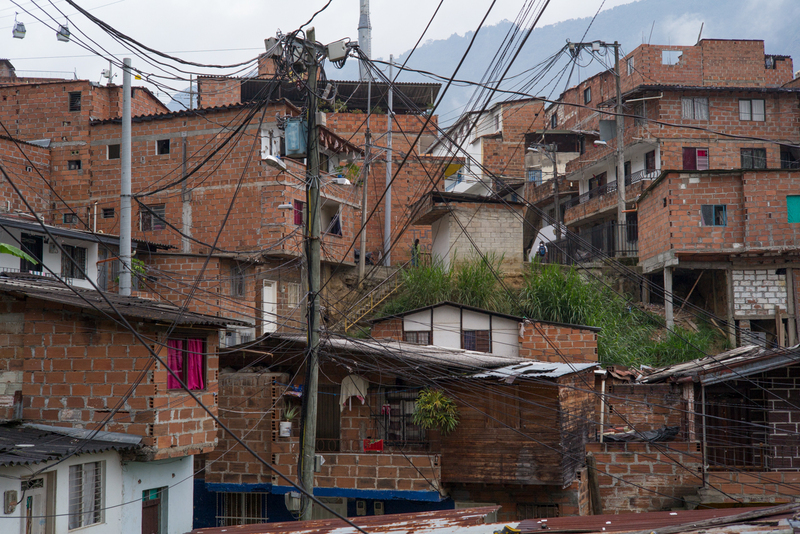 like rio de janiero, the low-income areas of medellín are located in the hills above the city. 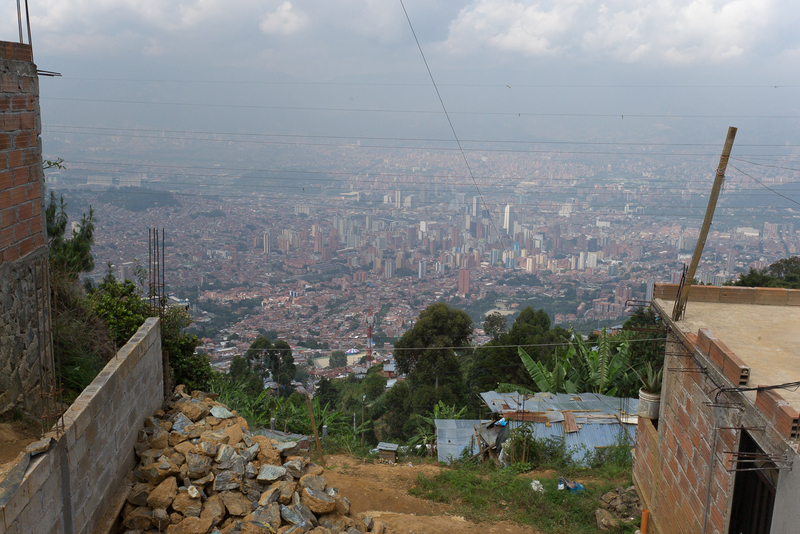 the view is spectacular, but the conditions in the street are rough. 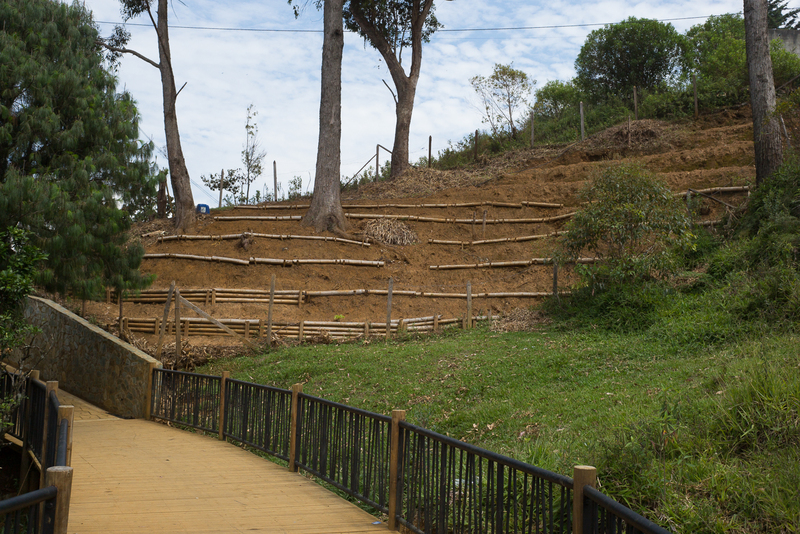 the city and the foundation have sponsored a lot of community improvements, but not everyone has been able to take full advantage of them. 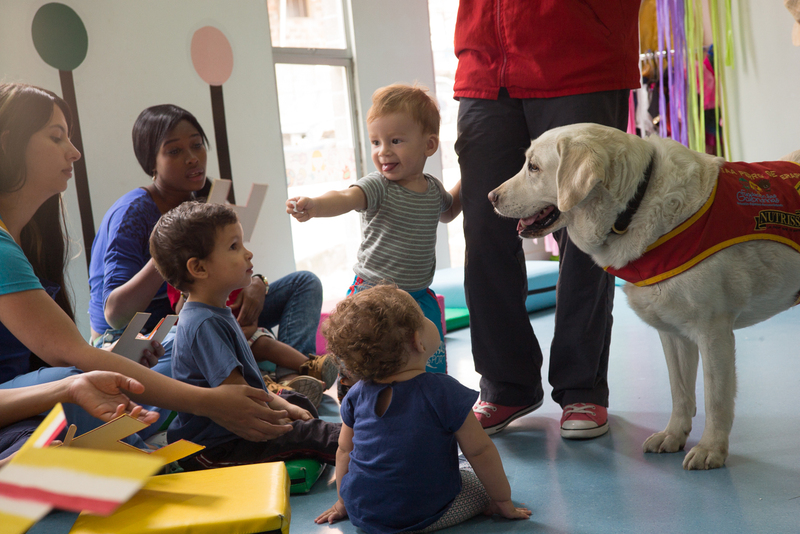 the children meet the dog. 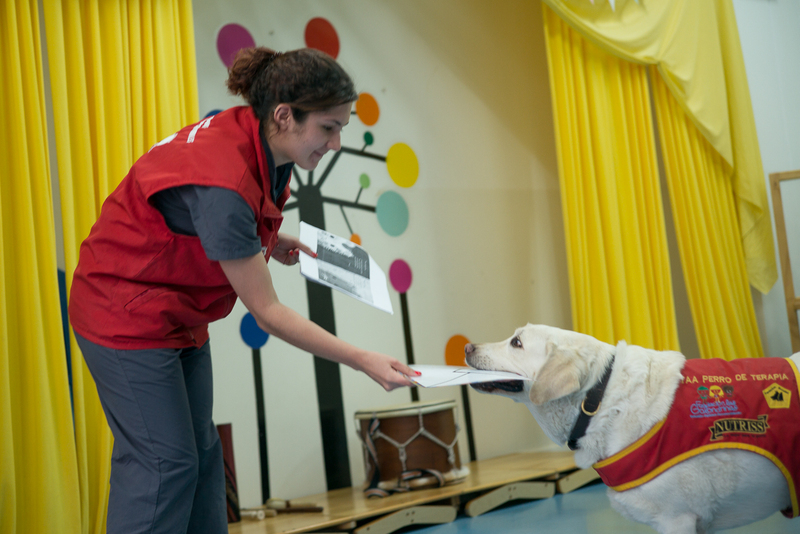 the dog plays mailman during a skit (and gets a lot of snacks for his work!). 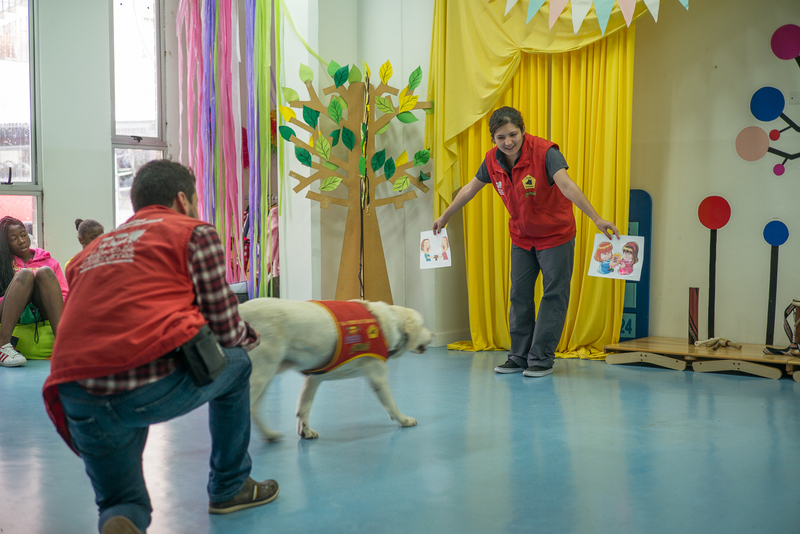 with the help of a laser pointer, the dog picks the right picture. 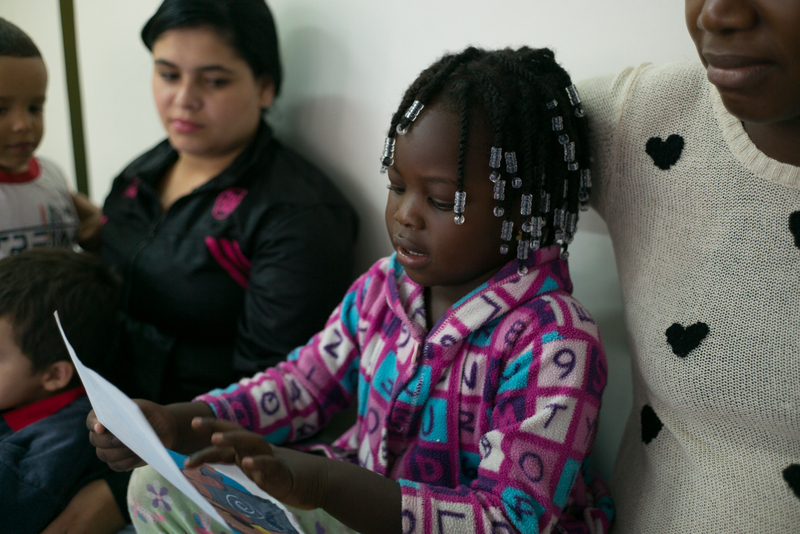 a child reads a simple illustrated description of the program.